We know that bada has no market in the US, and there's no clear path for Samsung to bring it over, but we still like to keep people updated on the OS. It is Samsung's baby, and it has had a pretty nice run in other regions and now it looks like it may get even more of a push. This was a story that we missed during MWC, but it seemed interesting enough that we thought we'd pass it along now. Samsung did see relative success with bada last year, selling somewhere between 8 and 9 million units worldwide. We say "relative" because of course the Samsung Galaxy S II alone has sold over 20 million units worldwide since April 2011, but of course Android demand far outstrips bada in many markets. Still, it should be interesting to see what Samsung has planned for bada, especially in regards to the possible merge with Intel's Tizen, which is said may be the precursor to bringing bada to the USA. What ever happened to the guy who was in love with Bada on here? He'd love this article haha. I just find it amusing that someone with the name "windowsRocks" has WP 3rd on the list. it was peterlfromsweden... he is greatly missed. he got flamed on too hard and boycotted PA. I feel the same way. I like iOS and Android but now I just feel a bit bored with them because I'm so accustomed to both. I'm ready for the next new and fresh OS to come around and bring some life to the party. i disagree, wp7, ios & android are more than enough. There's already enough trouble getting developers to support all the platforms. Bada doesn't have a ton of native app support but does support HTML 5 which is cross platform. Eventually I see app developers using HTML5 for most of their apps, even though they will still have to develop an iOS one so Apple can control it through the app store. I think Windows, IOS, Android will dominate. Samsung just trying to reduce license fees. It's all good because I'd like to see a Moto Galaxy Nexus....we would get Qwik updates, a great radio 3g/4g signal and all day battery life. Windows phones will catch on in the future I think. I have looked at a windows Focus in the past and that thing is pretty slick. If that's the worst of the windows phone's line getting better look out. hmm.. pretty interesting! i like bada but i dont want to spent my money with it because the os apps still lack. but i can say that the os still feels snappy and fluid. 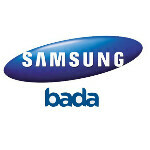 if samsung would invest more in bada someday bada could a tough contender. if samsung would push through! There's a difference between "significantly investing more" and "investing significantly more". Reminds me of the "iPad 2 seized from Chinese law enforcement" story. Can they really not afford an editor here? Not even for the headlines? if they can make bada OS more appealing than it is now (which visually looks somewhat similar to the android OS atm), I might like to take a try when if it ever comes to the states. So impressive to see Samsung balancing with all these different OS! Good job keep up the good work Samsung. O pete where are you? Really, it took me 5 minutes to read this post, it would have taken you all of 2 more seconds to spell those words correctly. Go and have a look how many apps for Bada in Samsung app store, and this is after almost 2 years. Dead in the water. Just a good feature phone OS. Wow so many rumors swirling around Samsung! First there was a rumor that Big S was going to give up on Bada for Tizen. Then came the rumor that Bada and Tizen will be merge. So now Bada and Tizen will co-exist? Also, there was this rumor that Big S will give up on WP completely to focus their efforts solely on Android. Then 3 days ago, WMPowerUser published an article based on an interview from a Samsung insider saying that it is committed to the Windows 8 platform of pc, tabs, and phone. Wow I'm getting dizzy! LOL! Dear Samsung , first give 2.0 update for my S8500 . I'm actually Korean, and I'll like BADA to actually rise amognst the Phone OSes. Remember, SAMSUNG is from South Korea. remembered Samsung saying something similar to this last year..action samsung, we wanna see action! i had a friend who had wave 2 and i tested it ,it looked very god and it was smooth.cant wait for next bada device ,maybe it will support dual core,or quad core but that is unlikely.